VIRGINIA BEACH — Princess Anne Middle School recently celebrated its selection as a National School to Watch, which recognizes excellence. A gathering of students, parents and educators this past month included an impressive spread catered by students from the Virginia Beach Career and Technical Education Center, as well as a cake decorated for the award. “I came for cake,” joked Susie Chung of Back Bay, whose son, 14-year-old Jared Chung, is a student at the middle school, on Tuesday, May 3. 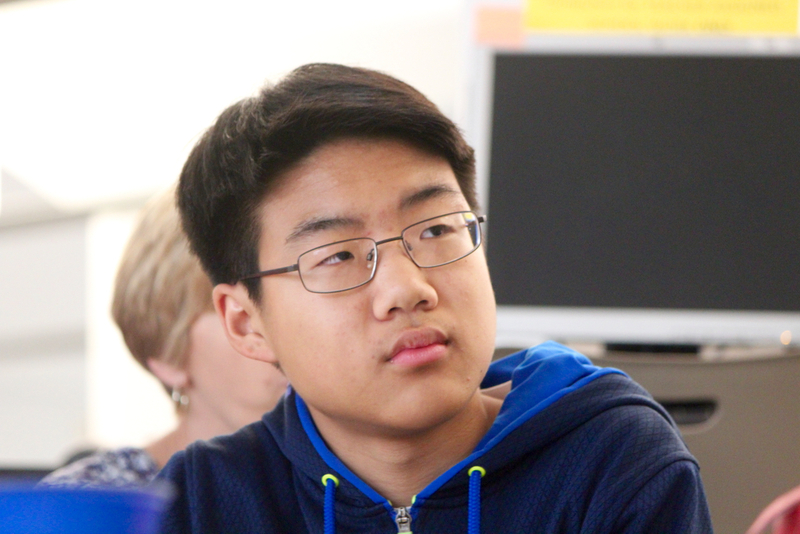 “I know we were selected as a school to watch,” Jared Chung said, adding that the school is a good environment for learning. “There’s good people,” he said. “I think it’s one of the best middle schools in the area,” Susie Chung said. 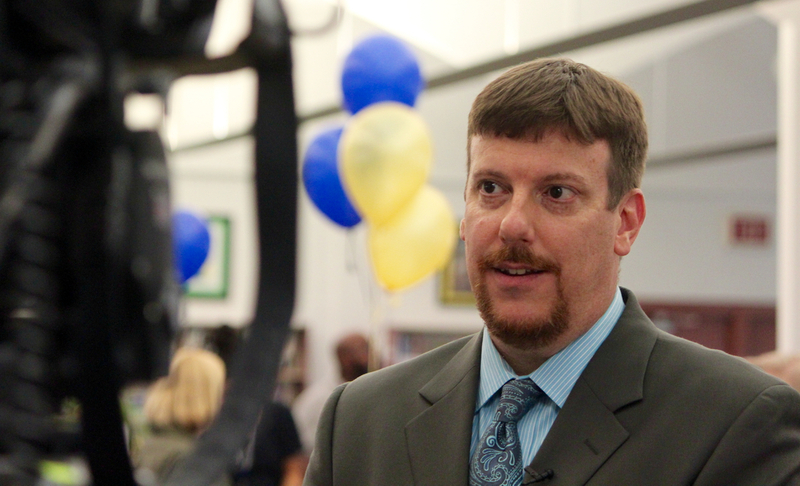 Dr. Alex Bergren, the principal of Princess Anne Middle School, praised students, teachers and staff, and he also thanked parents and community partners of the school. He said the process included a visit to the school and interviews with various people connected with the school, including, of course, students. The principal added that the award reflects a rigorous process, and it sends a message to the community about the school’s efforts on behalf of young people. The program is sponsored by the National Forum to Accelerate Middle Grade Reform, and it recognizes outstanding schools by considering academic excellence, developmental responsiveness, social equity and organizational structure. Information on the program is available at the Virginia Middle School Association site. “It brings a light to how great our teachers are, and it brings a light to the hard work done every day with our students,” said Zebedee Clark, the student activities coordinator. Amy Cash, who teaches English, has been with the middle school for three decades. She said the recognition reflects the culture here. “Great faculty, great administration, nice students and parents,” Cash said, listing some of the strengths within the Princess Anne Middle School community. PAMS IS an amazing school. It has been wonderful to see them recognized. Thank you for sharing the story!